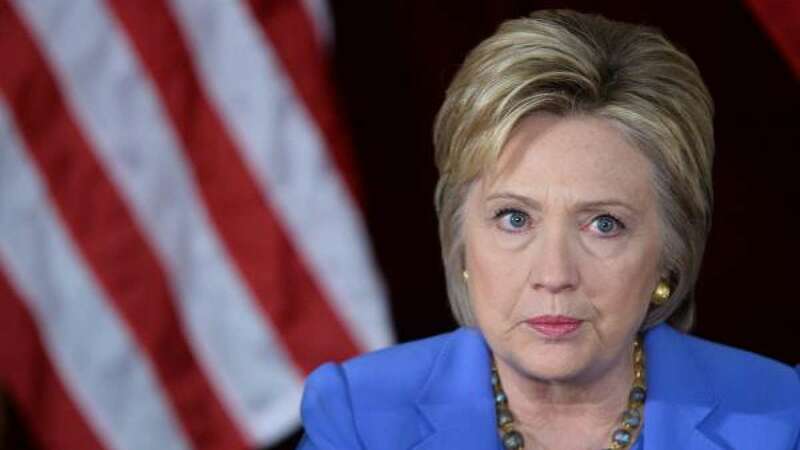 Los angeles : In more trouble for Hillary Clinton ahead of US Presidential polls 2016, the FBI on Sunday obtained a warrant to search emails related to the Democrat candidate’s private server probe that were discovered on ex-congressman Anthony Weiner's laptop. The law enforcement officials confirmed that the FBI already had a warrant to search Weiner's laptop and that this a next move. On Saturday, FBI director James Comey revealed that the mails existed and were linked to Weiner's estranged wife, top Clinton aide Huma Abedin. The disclosure ignited fierce criticism from Hillary’s party and invited praise from Donald Trump who once again blew the whole issue for vote politics. However, the Democrats stood behind Hillary with Senate Minority Leader Harry Reid scolding Comey by saying in a letter that he "demonstrated a disturbing double standard for the treatment of sensitive information, with what appears to be clear intent to aid one political party over another." He even accused Comey of violating the Hatch Act, which bars government officials from using their authority to influence elections. The FBI did not immediately respond to requests for comment on the Reid letter. A new poll after the FBI director disclosure shows that Hillary Clinton has a slim lead over Donald Trump. The poll figures show that Hillary is only 1% ahead- 46% to 45% in the recently released national surveys. It seems Hillary is going to witness tough days ahead.